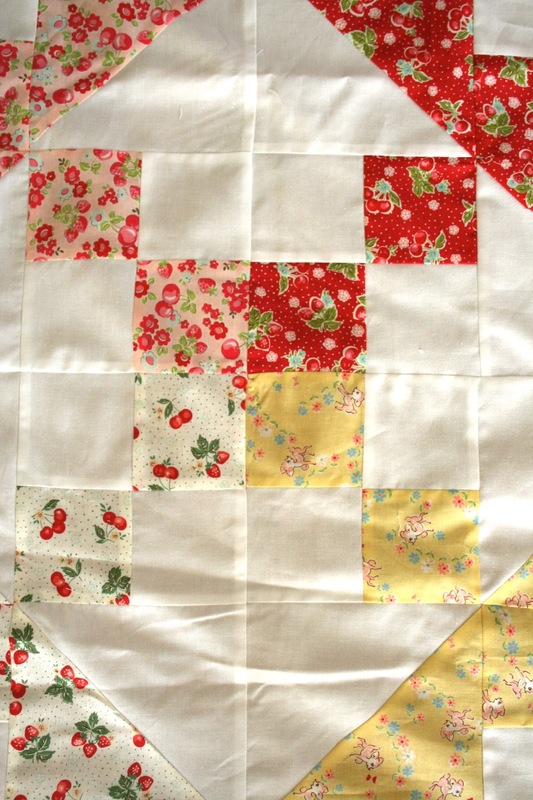 I have just finished running a quilting marathon. While the floors were being installed, I had to be present so I tackled a quilt I have been wanting to make. I literally was in my sewing room for over 24 hours in the past three days. Today the hardwood floors are in and the 90x108 quilt top is finished. If I had some helpers, I would have better photos but since the house is quiet, this is the best I could do with this giant topper. I'm going to get an extra wide backing for this and it will be off for quilting. Have a great day! Oh wow, it's simply gorgeous! I think you deserve a holiday now - and maybe a back massage - that's quite a marathon! Wow! it turned out so cute! Amazing what you can do when you are held captive in your sewing room. It's beautiful! Good for you. Enjoy this, and as time goes by, you will always remember your new flooring, and beautiful home to go with your beautiful quilt. 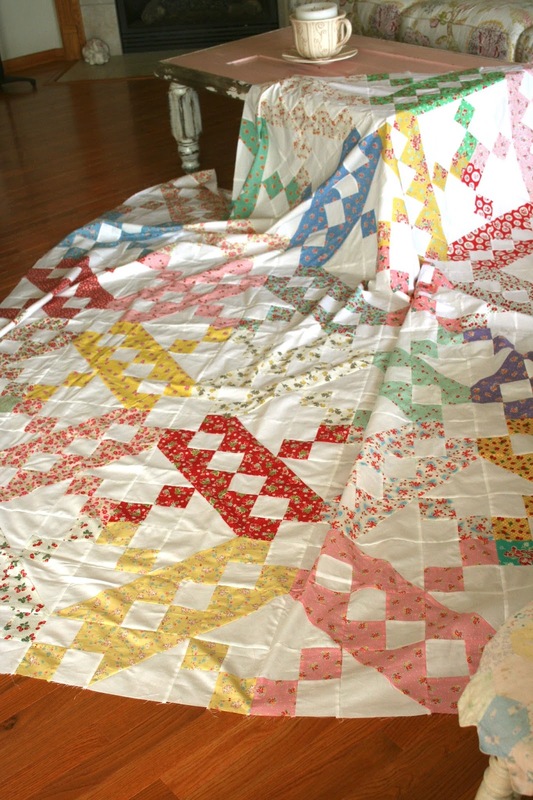 Beautifully pieced jacob's ladder quilt! Lovely fabrics too! Just lovely and great fabric choices. Wow, marathon quilting is right!! Your quilt top is lovely and am looking forward to seeing it all finished. This is gorgeous! I love the fabrics you used! 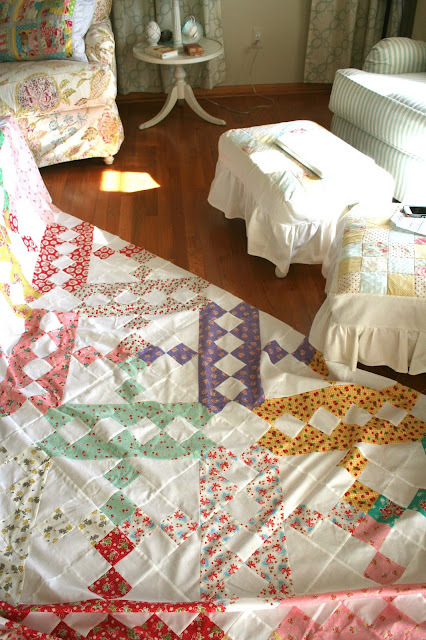 These are looking mind blowing very soon I am going to purchase some of your quilts for my home.